Make the most of your Cadbury 2 for 1 ticket offer with our roarsome accommodation offer which includes a delicious breakfast; for only £94 per family — that means a saving of up to 30% per family! After a day of exploring the Chessington World of Adventures Resort you'll need to rest up and unwind. Relax in a choice of two amazing hotels at the Park — The Azteca Hotel and The Chessington Safari Hotel. Continue the adventure after your day in the Park and explore your own fully-themed room! There are two fabulous hotels to choose from when staying at the Park. Choose from either the mysterious Azteca Hotel, full of ancient ruins and a jungle rainforest to explore — or stay in the roarsome Safari Hotel which brings a taste of the African Savannah to your short break. There are two fabulous hotels to choose from when staying at the Park. 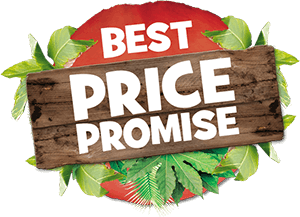 Choose from either the mysterious Azteca Hotel, full of ancient ruins and a jungle rainforest to explore — or stay in the roarsome Safari Hotel which brings a taste of the African Savannah to your short break. Terms and conditions apply. Offer subject to change and availability. Cadbury voucher excludes Park entry on 20th — 31st August and 25th December 2016. Cadbury offer is not valid for any secondary ticketed events, hotel events, concerts or Christmas events during the promotional period. Discount given on fully flexible B&B rate only, based on a family of 4 staying in a standard room on selected dates. A room upgrade will incur additional fees. Subject to availability, limited allocation available. No cancellations or amendments. Cadbury customers must pre-book accommodation using the booking engine on this page only. Breakfast is included in all packages unless otherwise stated. Resort benefits, and extras are subject to change and availability. All rooms are subject to change and availability at the time of booking. Offer subject to change and availability.